Print Express currently only offers its services in Japanese. 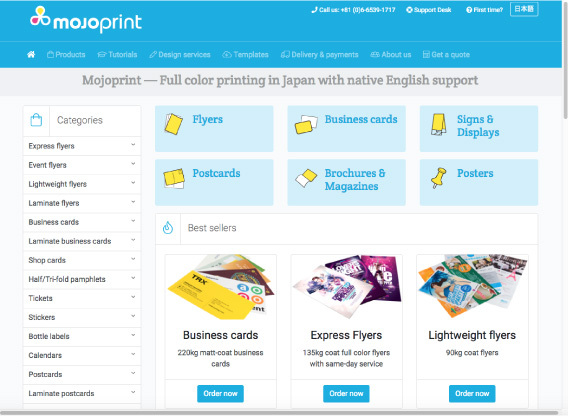 For English language print services, please visit our partner, Mojoprint. may also differ from Print Express. design services with native English support. Trusted by clients from Okinawa to Hokkaido, Mojoprint pride’s itself on its customer service. Whether you are based in Japan, or coming to Japan for a trade show in Tokyo or Osaka, Mojoprint has all your printing needs covered. Pens, T-shirts, and various other items are available!